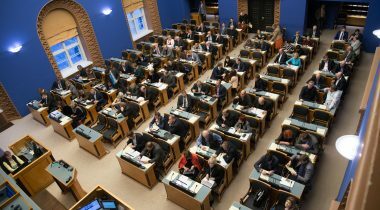 At Tuesday’s sitting of the Riigikogu, the draft Resolution of the Riigikogu for the formation of the parliamentary study committee to draw up the development objectives for the state reform passed the first reading. In the Draft Resolution of the Riigikogu “Formation of the Riigikogu Study Committee to Draw Up the Development Objectives for the State Reform” (368 OE), submitted by the Social Democratic Party Faction, the Estonian Centre Party Faction and the Pro Patria and Res Publica Union Faction, the state reform is viewed in terms of the reorganisation of public authority which is an important process to ensure the sustainability of public authority. Public authority includes both the central authority and local governments. Since the administrative reform concerns local governments, it is a part of the state reform. According to the draft Resolution, the committee would have the following tasks: to follow and analyse the implementation of the administrative reform and the reorganisation of regional administration and the achievement of the goals set therefor; to make proposals to reorganise public authority together with revision of the functions and tasks performed by public authority; to assess the impact and sustainability of the activities carried out to achieve the aim of reorganisation of public authority; to make proposals to the Riigikogu and the Government of the Republic, and to initiate legislative amendments as necessary. The representative of the initiator of the draft Resolution Ivari Padar said that the committee would have the authority to require the Government of the Republic, executive agencies and government institutions to present information necessary for its work, and to invite members of the Government, officials of executive agencies and other persons to participate in a sitting of the committee in order to inform and advise the committee. The draft Resolution provides that the committee would submit to the Riigikogu a final report on its activities upon termination of its work. The mandate of the Committee would last until the termination of the mandate of the 13th Riigikogu. The membership of the study committee would include one member and one substitute member from each faction of the Riigikogu. 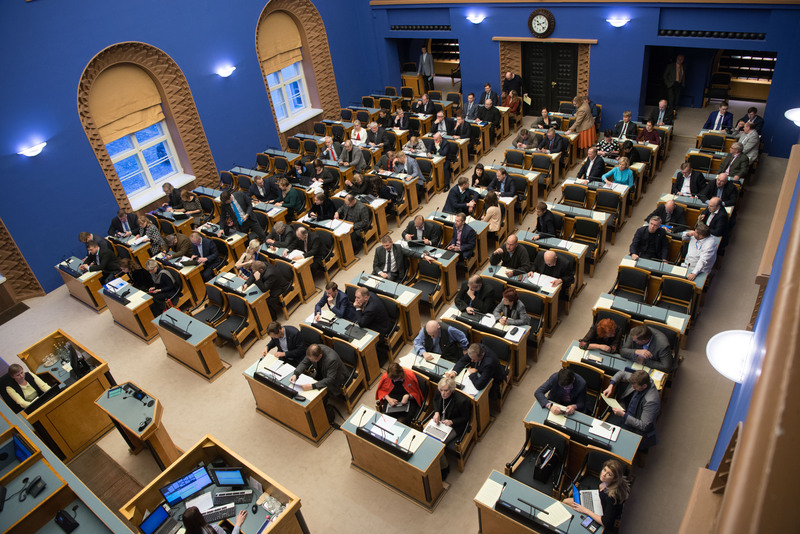 In the opinion of Jüri Adams, who took the floor on behalf of the Free Party Faction in the debate, the formation of a study committee is not the best or most reasonable way to tackle this issue. Mart Helme from the Conservative People’s Party Faction said that it is no use forming a study committee, and it would spend taxpayers’ money. In Helme’s opinion, the committee had no vision or a pre-set goal. Urmas Kruuse from the Reform Party Faction said that, on a wider plane, reforming of the state was necessary. At the same time he expressed a doubt that it would be possible to do it this way, that is, by forming a study committee. The Bill on Amendments to the Political Parties (325 SE), initiated by the Free Party Faction, was intended to create an effective sanction to preclude situations where the budget of a political party goes into deficit, and election campaigns made by incurring debts. The Bill provided that if the value of the net assets of a political party as at the end of the financial year is negative for two consecutive years, the payment of state budget support is suspended for two years. The representative of the initiator of the Bill Andres Herkel said that the political parties represented in the Estonian parliament are funded from the state budget to a greater extent than is the practice in other European countries, but at the same time no significant limitations or intended purpose have been set on the use of the money. Member of the Constitutional Committee Helmut Hallemaa gave an overview of the discussion that had been held in the Constitutional Committee and said that the committee had proposed to reject the Bill at the first reading. In his speech, Mihhail Stalnuhhin, who took the floor on behalf of the Centre Party Faction in the debate, brought up additional questions about the funding of political parties. Jüri Adams, who took the floor on behalf of the Free Party Faction, supported the Bill. The result of voting: 44 members of the Riigikogu in favour, 8 against, and 4 abstentions. Thus the Bill was rejected at the first reading.